They work together with partners like social landlords, local councils and community groups to bring durable change to communities. They identify community challenges, build on existing community assets and involve community members through participatory design. 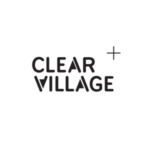 Since no two communities are the same, no two CLEAR VILLAGE projects are the same either.